Seth did a great job on our end table. He found a nice piece of urban salvaged sycamore with red and yellow hues that work well with our living room. 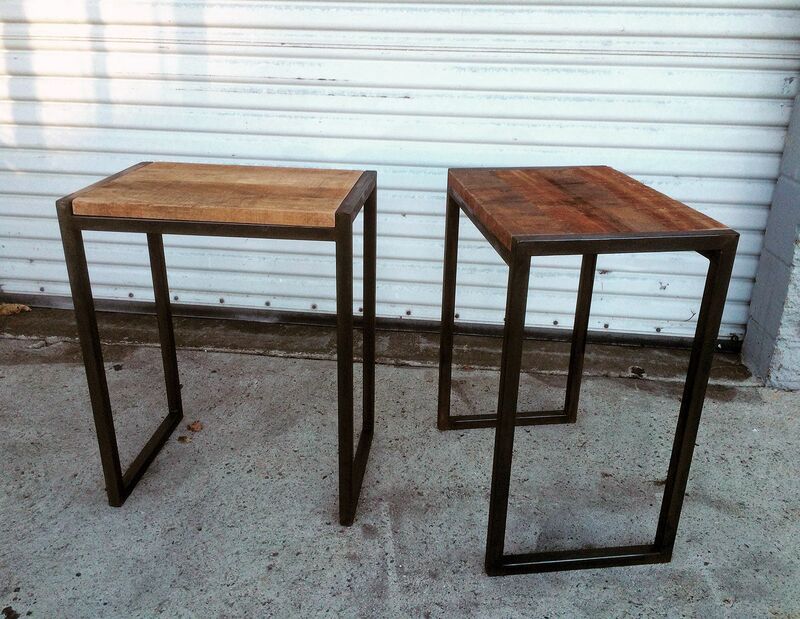 We selected a flat black steel frame that looks great with the finished wood top. Seth really worked with us on the details, sending photos of various options and discussing pros and cons. 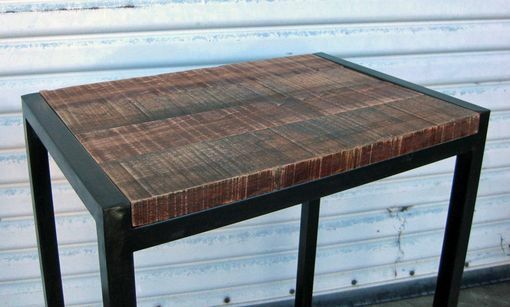 The wood finish and craftsmanship of the table are impressive. We are very happy with the final product and will definitely keep Seth and CustomMade in mind for future furniture needs. 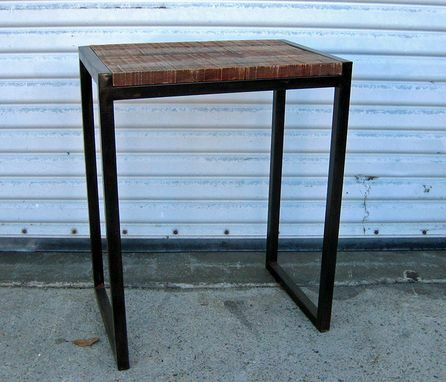 Handmade with simple clean lines the Port table is made from 1 inch square steel tube and reclaimed hardwood. The wood for the tops comes from the shipping industry used to support large containers and other raw materials. It is possible these tops have traveled more than you have. The patina is rough and worn, lightly sanded and sealed with a finish to preserve the look but easy to care for and no splinters. Because the wood is used in international transport like pallets they must be treated. We carefully select only heat treated pieces, never chemically treated. Custom requests are welcome. Due to the nature of the wood tops will be similar but can vary in color and amount of distress. We can try and accommodate a request for lighter or darker colored woods.